For some context, and an index to these documents, please SEE HERE. 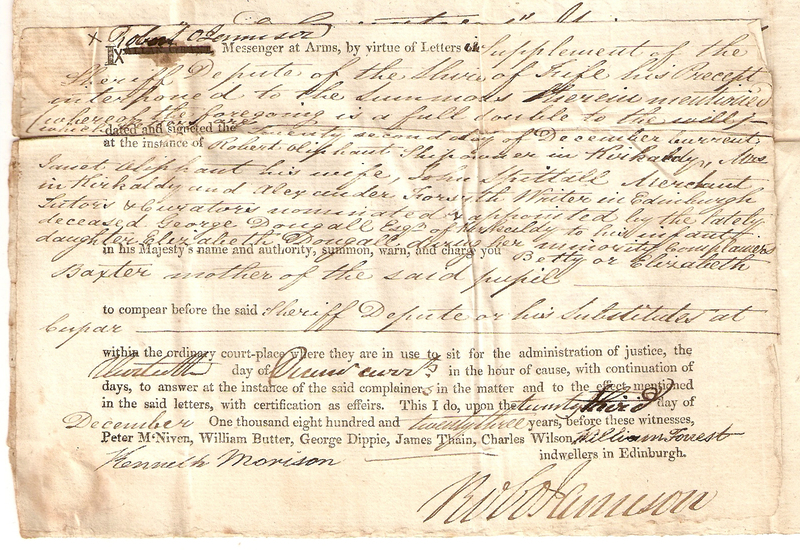 If you can help with the transcription of these documents please get in touch. Please click on the images to see the scans at full resolution. Christian and Janet Oliphant were the daughters of Henry Oliphant (by his first marriage, to Christian Barker). George Beveridge and Robert Oliphant were their respective husbands. Robert was also Henry’s nephew. 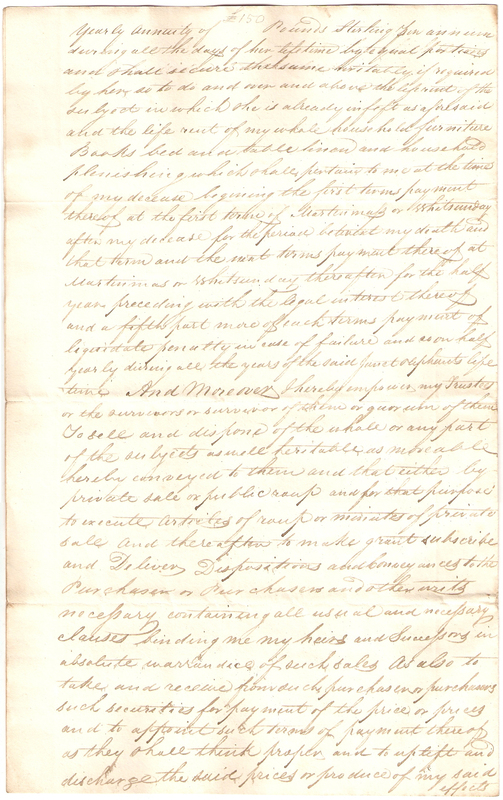 HERE is a .PDF showing Henry Oliphant’s descendants. 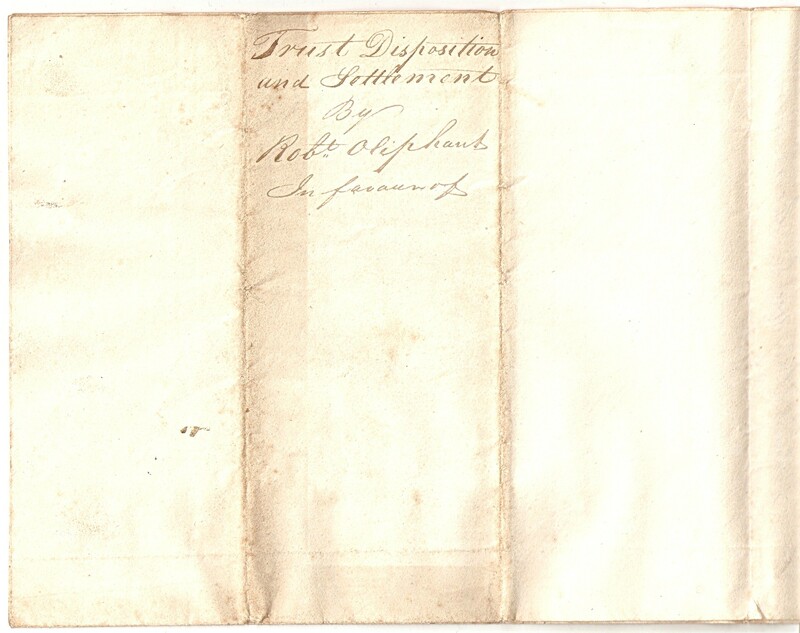 See the “Henry Oliphant estate” tag for all the documents relating to his estate. 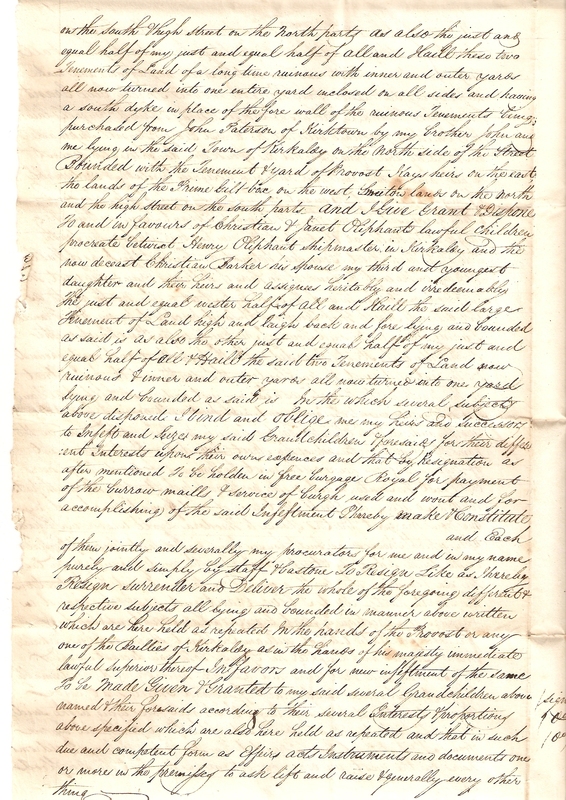 Closely connected to this document is Robert Oliphant’s “Trust Disposition and Settlement”. 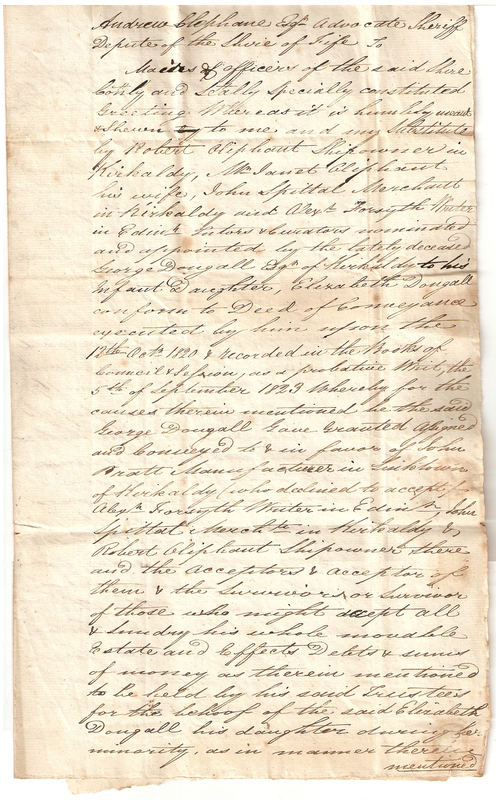 There is also an Outline and a Report of George BARKER’s descendants (up to 4 generations). 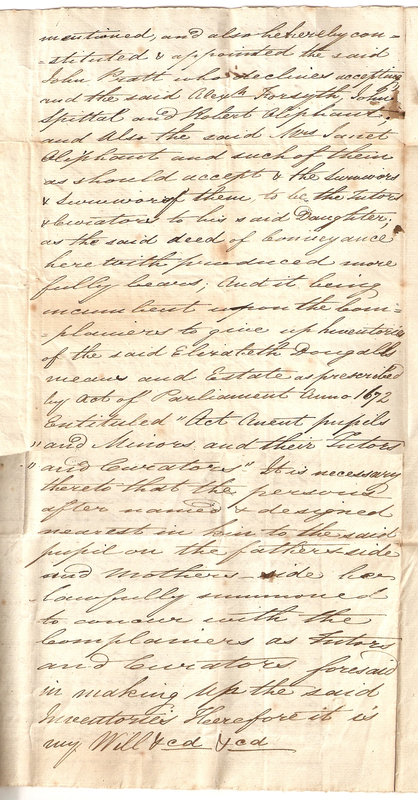 George BARKER’s Disposition (of the same date) is HERE. See 2 more, closely connected documents (with additional notes) HERE and HERE. “behoof” (Wikipedia); meaning ‘benefit’ / ‘advantage’. I’ll try to add a brief family tree to explain some of the people and relationships contained in this document. Mary BARKER, b. 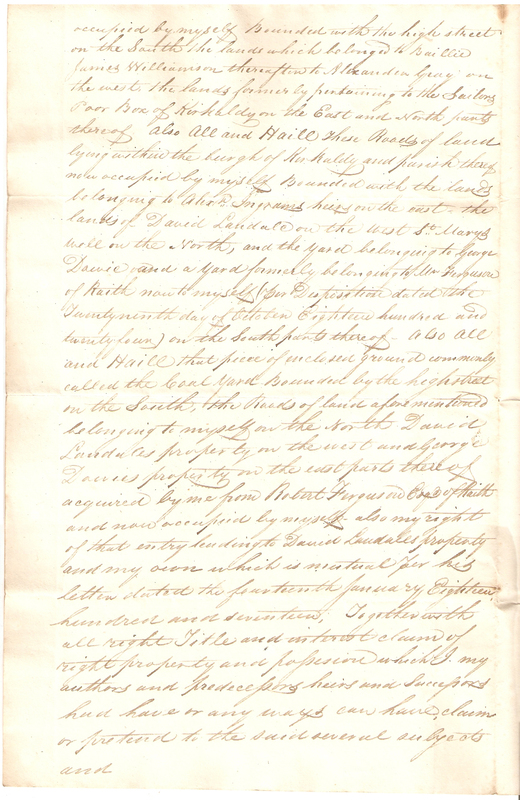 1733, m. 1763 to William OLIPHANT (b. 1728). Agnes BARKER, b. 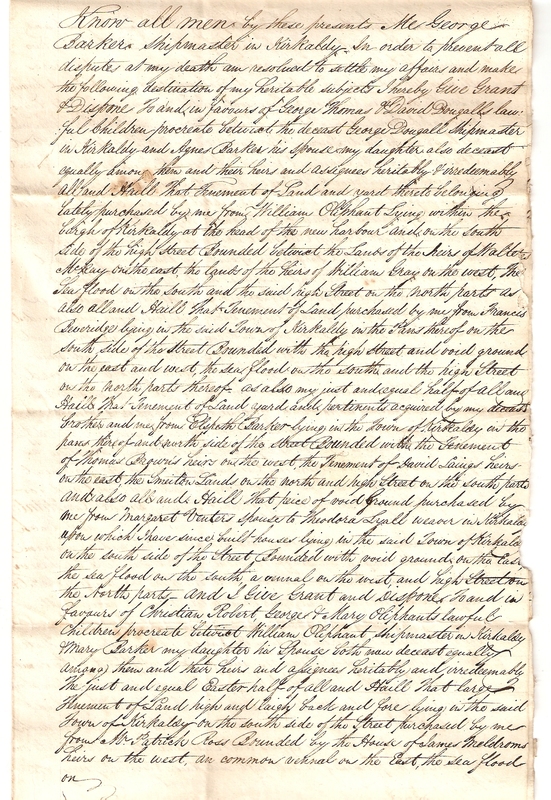 1736, m. 1762 to George DOUGALL . Christian BARKER, b. 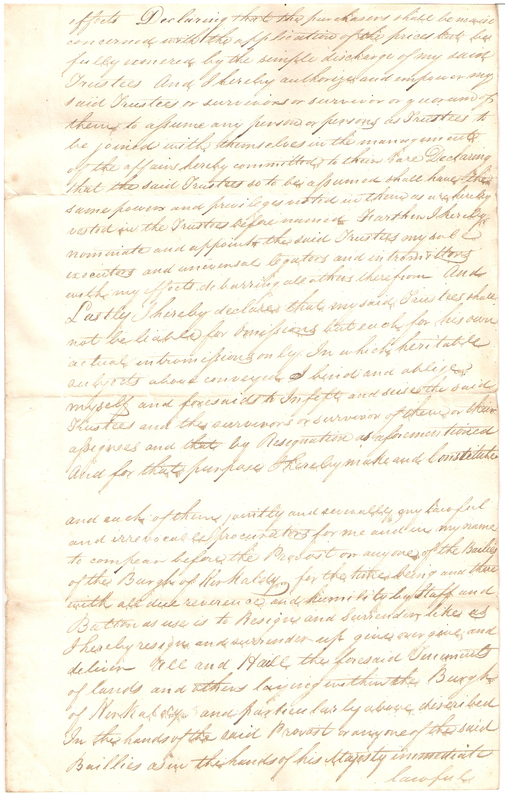 1741, m. 1766 to Henry OLIPHANT (b. 1741). Christian BARKER and Henry OLIPHANT had 4 children, including Janet OLIPHANT, b. 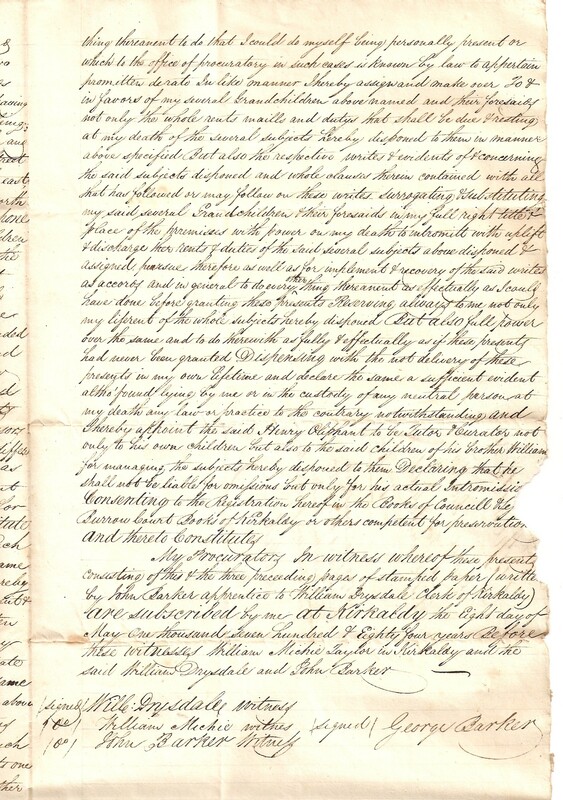 1777 (named in the document above, and who was married to her cousin Robert). Agnes BARKER and George DOUGALL  had 3 sons, including George DOUGALL , b. 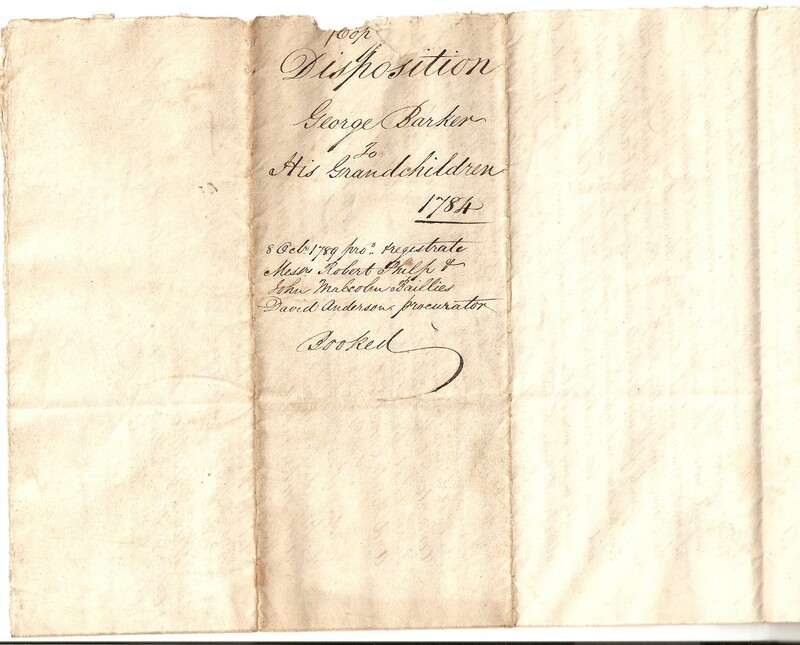 1763, who is the “father” named in this document. 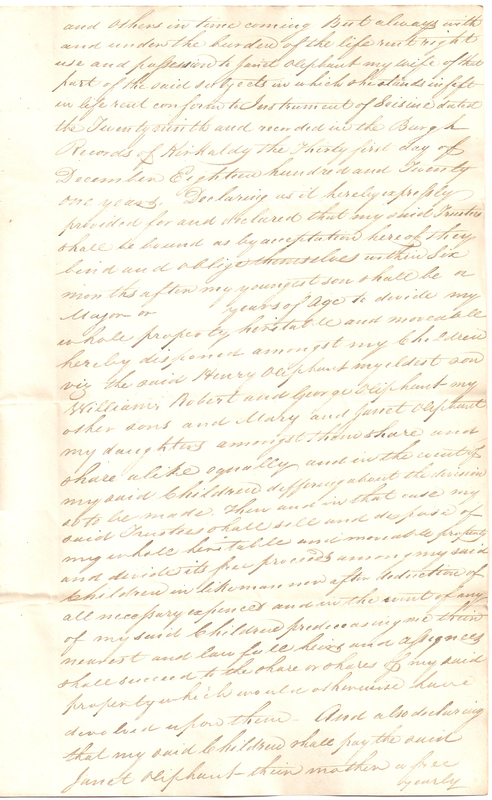 The “Robert OLIPHANT” who is writing here, and his wife Janet OLIPHANT, are my 4x gt-grandparents. Their daughter, Mary, married Robert HUTCHISON. 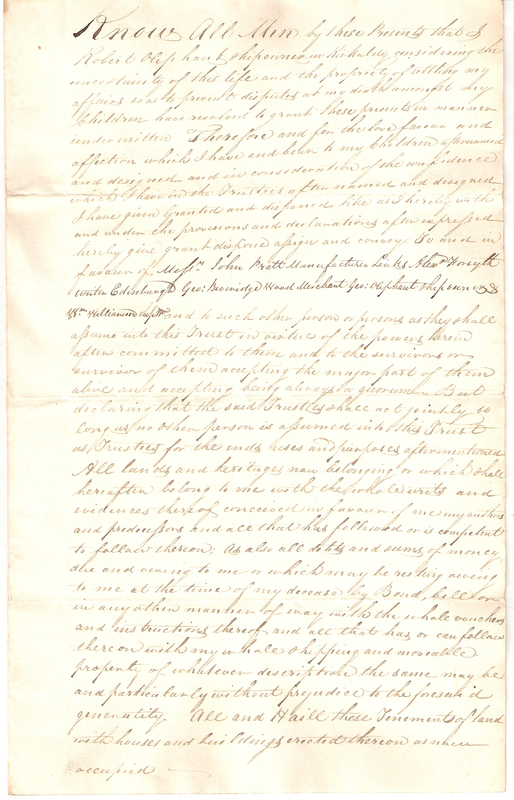 There is a closely connected document, by Robert Oliphant, HERE. … lawful [superior] there of. In favour and for [new] # [inseston..t] of the same to be made given and granted # to my said Trustees or to the survivors or survivor of them # or their assignees heritably and [irredeemably] in such # and competent form as effeirs But in Trust # a [livays] and with and under the declarations and prove- # -sions and for the ends uses and purposes herein mentioned. 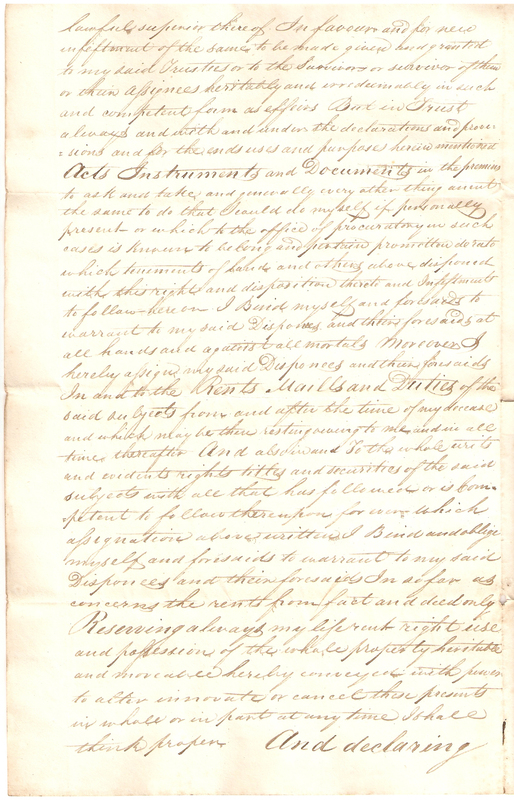 that any of my Children above named [giving] to # law or endeavouring to set aside or reduce # these presents upon any grounds or pretence # whatever shall be cut off with Five pounds # Sterling which my said Trustees are # hereby instructed to pay over to him her or # them in full of all they can ask or claim in # and through my [decease] Consenting to # the registration here of in the Books of Council # Session or other competent for preservation # and thereto Constitute my procurators. 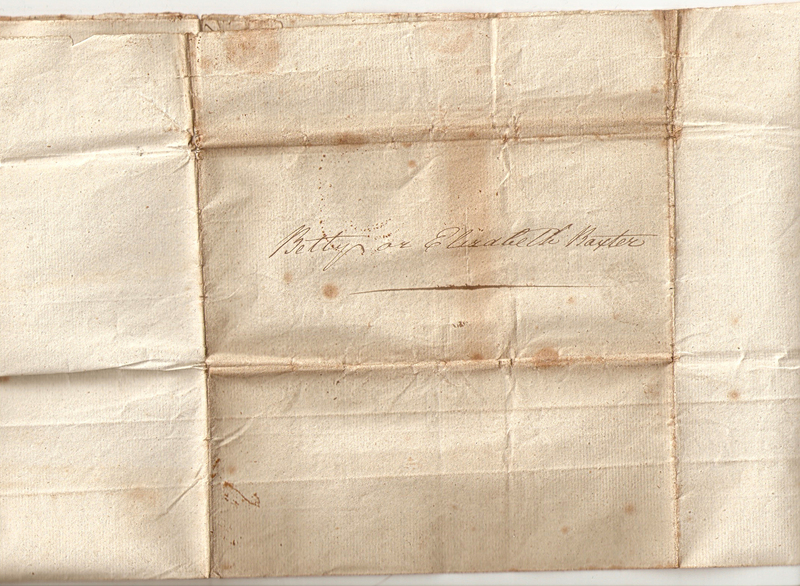 George BARKER’s Settlement (of the same date) is HERE. 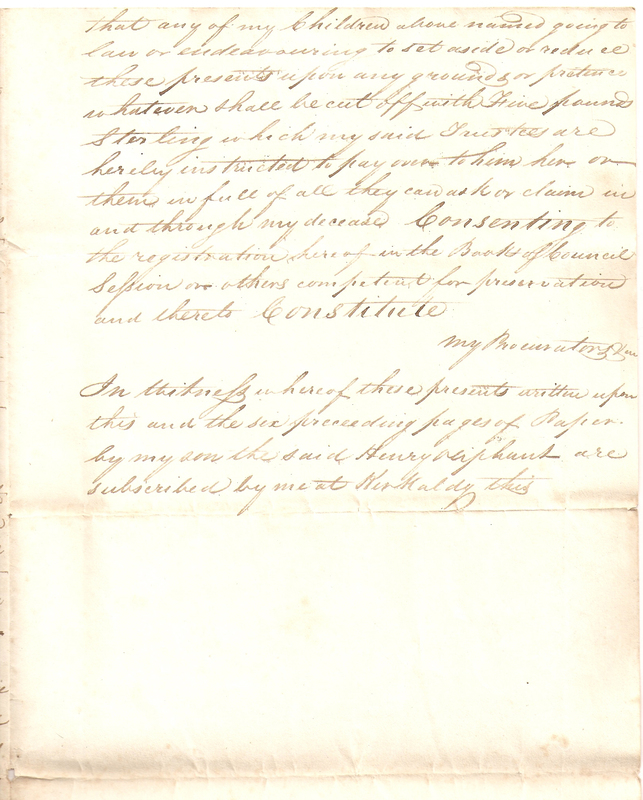 Disposition – George Barker – to His Children, 1784.